When we consider Spanish design and its principles, it is sometimes easy to stray towards a more Mexican aesthetic, essentially the two marry quite well together. The use of iron is incredibly popular in Spanish designs. From chandeliers to twisted kitchen hardware and furniture details, it features in both contemporary and more traditional interior design. Sometimes the thought of having the full effect of wrought iron in your home can be quite intimidating, let’s think about little details. Consider a lighter impact with a candlestick or perhaps utilized as a curtain rod with decorative finial, my favourite use of iron is in lighting. Iron gives warmth to a simple lamp shade and contrasts beautifully against neutral wall colours for your hallway feature chandelier or wall sconces. Most of us picture a ‘Spanish’ interior with the heavy use of tile, this could be the earthy tones of terracotta floor tiles or brightly coloured patterns. Again, this aesthetic can be used in small or large areas. 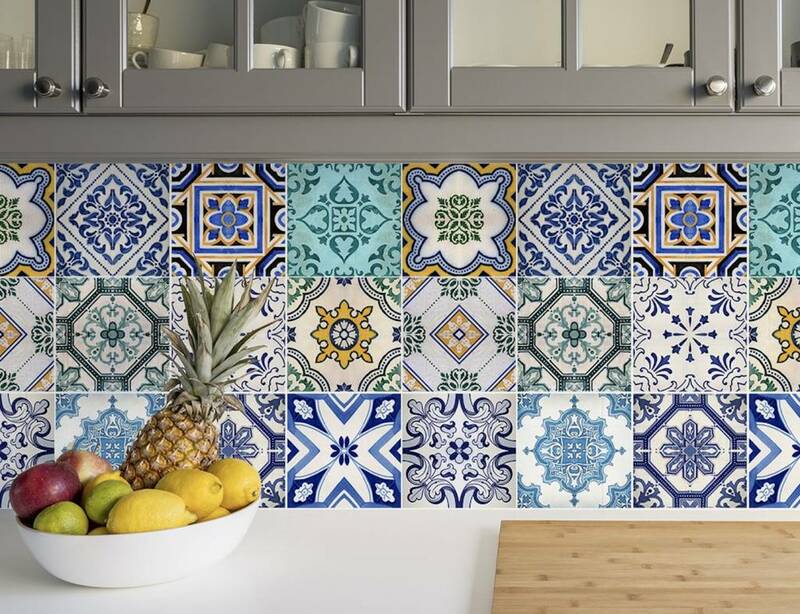 A hot trend in kitchen design this year is to use Spanish and Moroccan inspired tile for areas between your island corbels or a stunning backsplash detail behind your stove. Refined, effortless, chic. French interior design has a long traditional of being the precedence for a lot of North American design principles. There tends to be more perfectionism in our Canadian homes, where we think that everything needs to be of the same shape, colour or from the same era to work. The French treasure their family heirlooms, pieces that have a history and a story, making a home that is very much more unique and altogether timeless. Have confidence in your interior and be inspired by the French. Mix your contemporary furniture with vintage pieces. There is no reason why your Louis XV’s claw foot dining table cannot be paired with sleek, modern white leather chairs with chrome details! The French are expert at mixing materials and blending styles. Things that don’t obviously pair well together often make for the most interesting interiors, forget the traditional design rules! Craftsmanship, materials, and clean lines. Simplicity is key when wanting to bring a Scandinavian design aesthetic into your home. The traditions are not as old as some their European counterparts, most of the design principles come from the modernist movement of the 1950’s up until the present day. Even the weather played a part, with long, dark evening in winter, home owners were crying out for light and bright interiors with cozy textures to curl up in. Lighter colors, simple forms, and open-plan spaces are key to the flow and energy of a Scandinavian home. This is where your own home can learn. Gone are the days of having individual rooms for individual tasks. We now want open spaces where the whole family can co-exist. Dive into this design focus, incorporate natural elements, such as wood and natural fibers, with lots of texture. Mix old and new furniture and materials, highlighting the detailed craftsmanship. Using the correct lighting can bring into focus an interior of balance and clutter free. Whichever way you use the principles of European design in your home, try not to overthink it, sometimes you have to experiment to achieve the perfect balance!